i know you guys appreciate art- so please enjoy this visual experience. Also- the DLIII "signature" was an add on so people would know who it is. 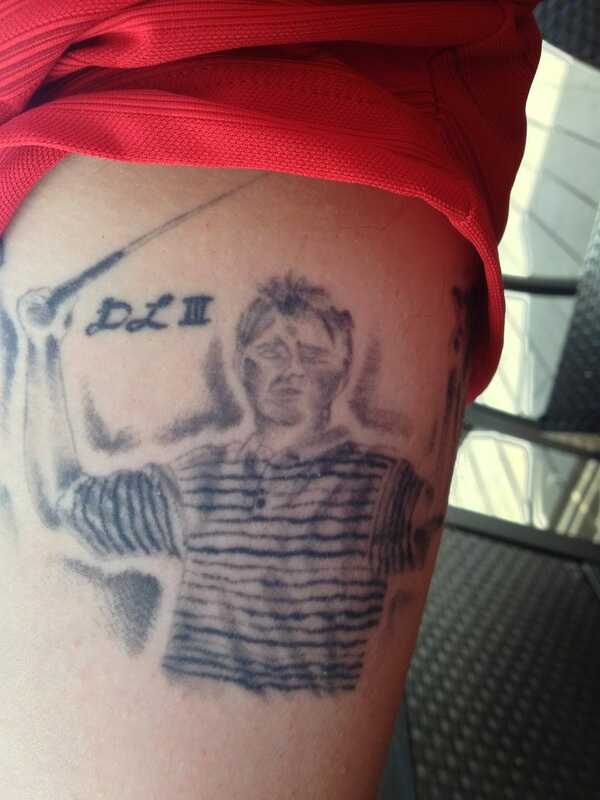 Apart from common-sense inferences made after asking questions like "who would lie about getting a Davis Love III tattoo?," I have no way of confirming the veracity of the claims or the authenticity of the tattoo. I just thought you guys should know about it.